On April 8, 2019, a briefing on the first Caspian Economic Forum, which will be held in Turkmenistan on August 12, 2019, was organized by the Permanent Representation of Turkmenistan in Geneva at the United Nations Geneva office. Ambassadors, Permanent Representatives of the Islamic Republic of Iran, the Russian Federation, Azerbaijan, Kazakhstan, as well as Ambassadors and representatives from other countries took part in the briefing, which was held in the Turkmen room of the UN Geneva Office, as well as the leaders of the Switzerland-CIS Joint Chamber of Commerce / Georgia (JCC), which is the leading private sector organization in Switzerland, which is promoting bilateral business between Switzerland and the CIS, including with the countries of the Caspian basin. At the beginning of the briefing, a video film about the economic potential of the Avaza National Tourist Zone was shown to its participants, where the forum will be held in August of this year. After that, the Ambassador, the Permanent Representative of Turkmenistan to the United Nations office in Geneva, thanked all the participants of the briefing and familiarized with the arrangements for the preparation and holding of the first CEF, carried out with the Concept of the forum. 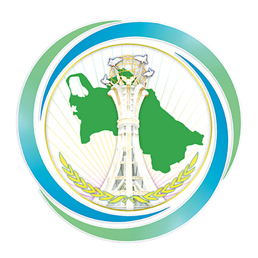 It was noted that the first forum of this magnitude within the largest region in the world, the Caspian Basin, was initiated by President of Turkmenistan Gurbanguly Berdimuhamedov during the IV Summit of Caspian States, held in Astrakhan, Russian Federation, on September 30, 2014. In their speeches, the Ambassadors, Permanent Representatives of the Caspian countries noted the importance of holding such a forum, familiarized them with economic projects carried out in their countries in the field of transport, logistics, energy, aviation, shipping, which would ultimately contribute to the strengthening and expansion of economic relations between the countries.